For a series that—according to many "industry experts"—was destined to crash and burn, the Premier Boxing Champions universe seems to be doing alright for itself. After years of leaving many pundits twisting in the wind as to what the future held in store, long-term major network deals with two separate outlets finally provided a clear future for the Al Haymon-created PBC series. Less than a week after securing a three-year deal with longtime ally Showtime Sports, the PBC brass announced on Wednesday morning a multi=million dollar four-year pact with Fox Sports. RingTv.com senior writer Mike Coppinger first reported the breaking news Tuesday afternoon. Specific financial terms were not disclosed, but PBC's press office confirmed that the deal calls for 22 dates per year across Fox prime (10 shows) and FS1 (12 shows). The first event under the new pact is expected to launch in December, although everything about the card—participants, venue and exact date—remain very much up in the air. The news comes on the week of the three-year anniversary between PBC and FS1, with its Toe-To-Toe Tuesdays series debuting on September 8, 2015. The show was headlined by former 154-pound titlist Austin Trout, as the series has largely served as a platform for rising prospects as well as veterans on the comeback trail. While the series has endured its ups and downs, enough momentum came of it for the Fox brass to open up its vault. "We're thrilled to expand our relationship with the PBC in coming years and take the world's best boxers to the next level by exposing them to the widest possible audiences across FOX, FS1 and FOX Deportes," said Mark Silverman, President, National Networks, FOX Sports in a joint press statement with PBC. "While FOX Sports has been invested in boxing as a key property on both FS1 and FOX Deportes, this will be the first time in more than 30 years that boxing will be regularly featured in prime time on network television." As network deals with NBC, ESPN and Spike TV (now known as Paramount Network) began to fizzle in 2016 and 2017, Fox Sports stepped up on its end beginning with PBC on Fox in January 2017. Then-unbeaten Danny Garcia headlined the first telecast of the primetime series, which prior to this new deal saw more of a seasonal schedule while enjoying a more steady stream of dates on FS1. 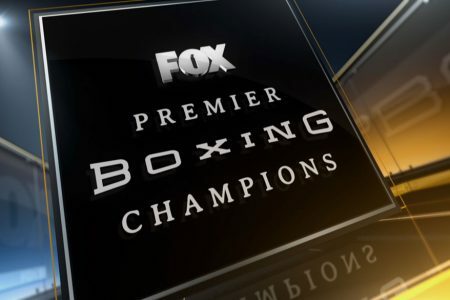 With the four-year pact now in place, PBC on Fox will run much closer to a monthly primetime series along with the occasional Fox Sports PBC Pay-Per-View event. "We are pleased to continue with FOX Sports to showcase our unrivaled roster of more than 160 of the best boxers in the world, including 60 current and former world champions in the weight divisions that most excite the fans," says Tim Smith, Vice President of Communications for Haymon Sports. "The PBC on FOX will bring the fans the best boxing and bring our boxers and the sponsors the biggest audience as we continue to pursue the goal of returning this great sport to mainstream prominence." Some industry insiders speculated that Fox Sports and Showtime Sports could not co-exist in terms of splitting the PBC stable. Whereas its initial rollout over 10 separate networks saw a compromise in quality and an inability to keep all parties pleased, the structured deal between both platforms actually complement one another. Showtime Sports Executive Vice President Stephen Espinoza even suggested as much, publicly acknowledging that while his company has for the past several years served as the industry leader, there are so many dates that can be offered to PBC's vast stable of fighters including heavyweight titlist Deontay Wilder, welterweight titlists Errol Spence and Keith Thurman and pound-for-pound entrant and reigning lightweight king Mikey Garcia among many other stars. Between the two series, PBC will now be armed with more than $100 million and 50+ network dates per year—not bad at all for an entity that was never supposed to succeed. Per the PBC press release, all PBC on FOX Sports events and programming will be streamed live on the FOX Sports app, available in English or Spanish through the FOX, FS1 or FOX Deportes feeds. FOX Sports will offer a platform inside the app to allow viewers to stream the PPV events. In addition, boxing and the PBC will be prominently featured across the FOX Sports website, apps and social platforms. To build anticipation for each fight, FOX Sports will surround each fight night on FOX, FS1 and FOX Deportes with top-level ancillary programming including multiple episodes of behind-the-scenes shows on FOX, fight-countdown preview shows, press conferences, fighter face-off shows, weigh-ins and prefight and postfight shows on FOX, FS1 and FOX Deportes. This programming line-up also includes two studio-based PBC-branded shows a month on FOX and FS1, with PBC boxer interviews and profiles. Fight cards will have televised preliminary fights on FOX, FS1 or FS2 and FOX Deportes.